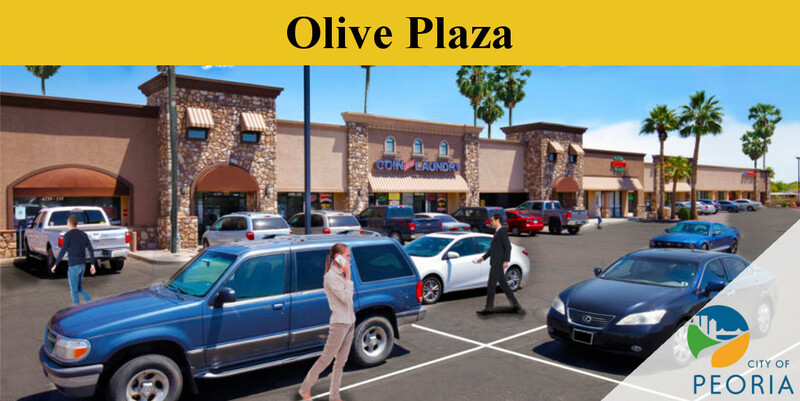 Olive Plaza is located on the Northwest corner of 67th Avenue & Olive in Peoria Arizona. The current mix of tenant’s, such as Q Bar & Grill, Central Plaza Laundromat, Bruno’s Pizza, A1 Auto Care and corner 7-11 store, is designed to serve the basic needs of the local, growing community. This retail strip center is ideally situated with great street corner exposure, and is the perfect place for almost any new, relocating or expanding business.